The easiest tool for quickly finding large files and optimizing disk usage. 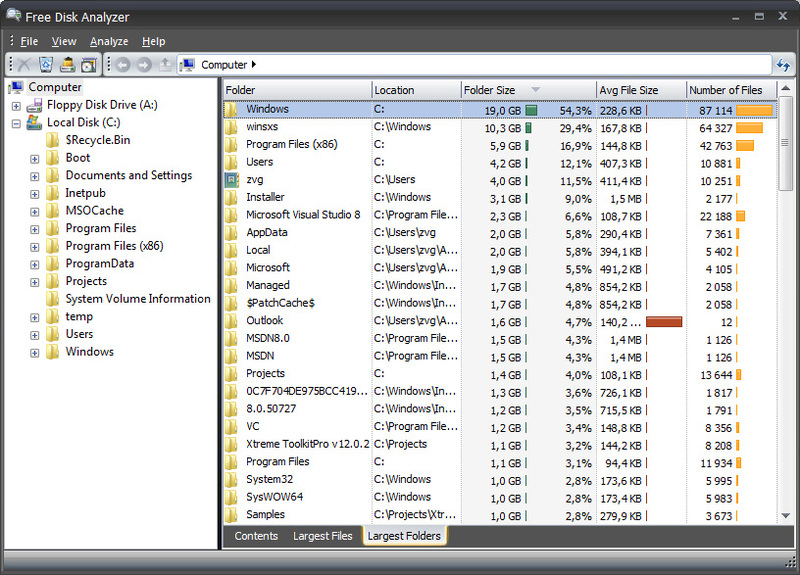 Disk Usage Analyzer helps you organize your files and manage disk space by locating the largest files on your disk. You can quickly find where are your largest files, such as videos, photos and archives, and move them elsewhere, possibly to a backup drive. You may also decide to simply delete unneeded files. Disk Analyzer is fast and easy to use, summarizing your disk usage in a friendly format with visual graphs. Disk Analyzer is integrated with Windows so that you can view, open or delete files in the same way as in Windows Explorer. Disk Analyzer helps you keep your disk drives uncluttered, which can also result in faster computer performance. NOTE: Windows® is a registered trademark of Microsoft®. We are not associated with Microsoft®.